Don't let the rising price of fuel be a barrier to employee engagement. Ninety-nine percent of households use it. It’s the biggest expense over the year bar their household energy bills. The price of fuel is on the increase and hitting families hard. But so is the price of bread, the price of milk, the price of keeping your house warm and the price of clothing your family. Our product has offers on other daily essentials like gas, electric, water and groceries, so why don’t we (or any other discount platform) offer a saving on fuel? In the employee discounts world, it’s very difficult to find a credible fuel partner in order to satisfy the ever-increasing need for lower prices. Yet I can’t help but wonder how important that one aspect of saving is, and is it really a barrier to engagement with a platform that covers 99% of shopping needs? It’s funny how people can be turned off us and our platform when they find out that we don’t do discounts on fuel, given how much else we do. Understandably, we live in a world where people don’t want to feel like they’re being ripped off. And I guess, fuel is the one thing that you nearly always end up paying top dollar for, no matter how hard you try to beat the system. But here’s the funny thing - if those negative people who disregard the entire service just because we don't have fuel discounts actually used the service regularly - it would positively impact their wallet, therefore providing an indirect discount on fuel! Back to the original question - why don’t we have a fuel discount? The truth is, we’ve tried. So far we haven’t managed to strike a deal that would benefit the customer base enough. Maybe we should try harder. Because all it would take is for one fuel company to sign up and they'd gain a market edge over their competitors. 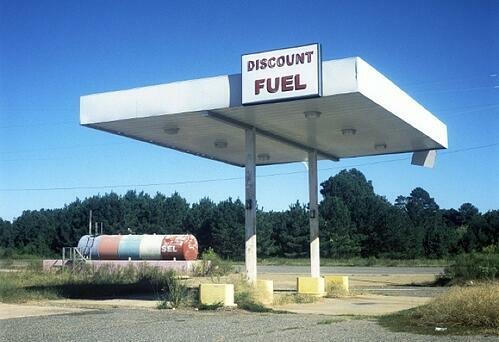 Thousands of consumers would go out of their way to buy fuel from one company if it meant getting a fuel discount. The result would be a surge in custom that might more than counteract the cost of providing a discount. The others would be sure to follow.